Jeff had worked for his parents, Rose and Lloyd Bending, in the Wonder Bar during his high school years and as a senior he began making pizzas after school and in the evenings. His pizza business grew by leaps and bounds and he began to see the possibility of succeeding in his own business. As soon as he graduated in 1974 and a month after turning 18, he had the opportunity to buy the old Ruby’s Driftwood building on Market Square which had been a meat market. He began making pizzas and sandwiches and one of the first girls he hired was Judy Malson who had helped him out in his days at the Wonder Bar. Three years later they were married and they have a son, Tim, and a daughter, Amanda, who have worked here throughout the years. 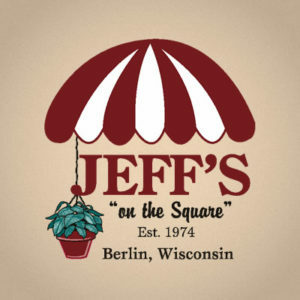 In those days Jeff’s Pizza had games for kids, a soda fountain and was a popular place for after school activities. 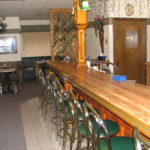 Through the years, they remodeled about four different times, each time making the accommodations larger and more comfortable and each time adding to the menu. A beer license became available and a few years after that they were able to add a liquor license. Suddenly, Jeff’s on the Square was a full-fledged supper club with steaks, prime rib and fish frys. Soon they began opening for lunch on Fridays as well as evenings. 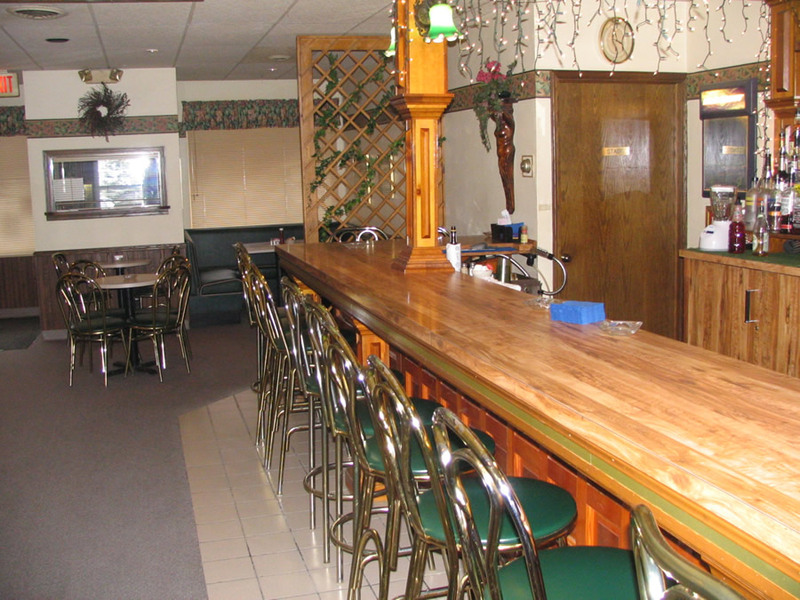 The latest remodeling project and building addition took place in December 1992, which doubled the seating capacity, built a larger bar, established a large non-smoking dining room, a new kitchen, new restrooms and modern equipment. Jeff attributes his start to having parents who had a successful business where he could learn good work ethics and learn to be around people. Now, he has established his own reputation for a variety of reasons, first among them is the clean, pleasant atmosphere. We sincerely hope you enjoy dining with us.